Objectifs celebrates its 15th anniversary in August 2018 with the launch of a commemorative book that looks at how 15 filmmakers and 15 photographers have been inspired. Since its founding in 2003, the film and photography centre has established itself as one of the stalwarts of Singapore’s arts scene, closely associated with some of Singapore’s most prominent imagemakers. Photographers such as Darren Soh, Tay Kay Chin and Chow Chee Yong have had their solo exhibitions at Objectifs, while filmmakers such as Tan Pin Pin, Anthony Chen and Royston Tan have had their films distributed through the centre’s DVD label. Through residences, workshops and developmental programmes, it has also helped launch the careers of younger award winning photographers and filmmakers such as Sean Lee and Liao Jiekai. 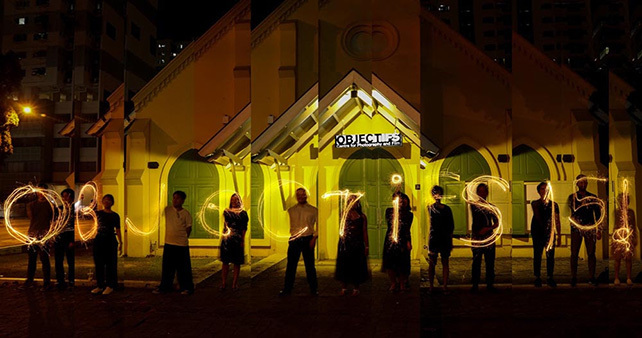 These and 21 other fellow Singapore imagemakers have each contributed a photo and personal anecdote to a special book, published to mark Objectifs’ 15th year. The book is priced at $50. It is available for preorder now at the Objectifs webstore, and will be available from 15 August onwards at its physical store. Proceeds from the sale of the book will go towards funding the centre’s programmes, many of which are free, to more than 40,000 people of all ages and diverse backgrounds annually.